Was working fine earlier but 30 mins or so ago was playing and would join for 2 mins or so and it would kick me straight out of the game, tried this a few times and would do the same thing. 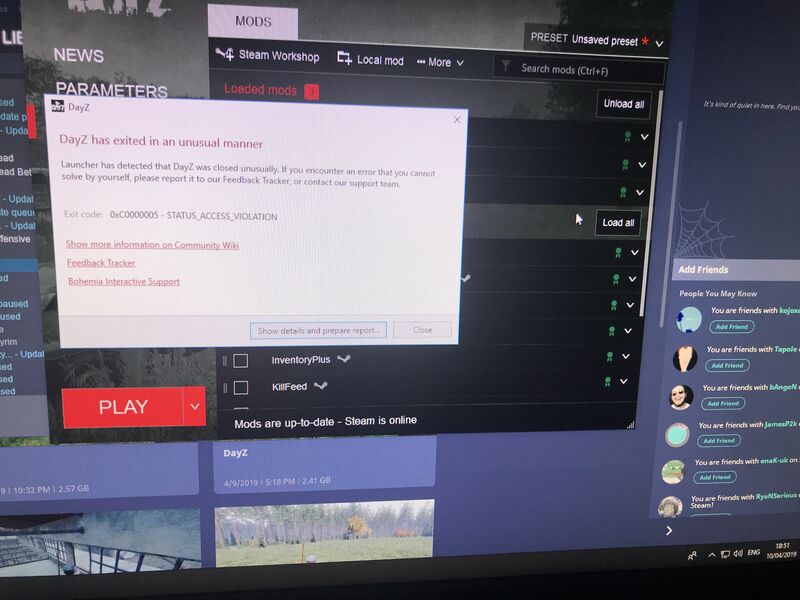 A message came up on my desktop the third time saying "DayZ has exited in an unusual manner" then some other stuff in small print below it. could you take a screenshot from the message? Exit out of the launcher whenever that happens, otherwise, the error will persist. You have to fully restart the game from the launcher.